Learn about the college testing process and what to plan for. Students applying to four-year colleges are typically* required to take at least one (but often multiple) entrance tests to qualify for admissions. These tests are long, difficult and should be prepared for. The great news is that your students' classwork is the #1 way to prepare for these exams. Focus on student content knowledge and retention will be very helpful in scoring well on these high stakes exams. There are two widely accepted tests: the SAT and the ACT. Colleges will accept either test interchangeably, but there are differences regarding each test and it's structure, content, scoring, test dates, and more. Preparing Your StudentApart from being fully invested in the learning process in their classrooms - students should spend time outside of school preparing and practicing for these exams. There are a number of different resources that students, typically in 10th grade, can access (and most are free!). All 10th grade students will take the PSAT (or Practice SAT) exam in mid-fall of their 10th grade year at school. Students in 11th grade will have the opportunity to register to take this exam again. Students have access to free, online prep software through their Naviance Accounts (Naviance ACT Test Prep) and through Khan Academy's Free SAT Prep (this is the official CollegeBoard sponsored prep too). Each year, NTHS plans to provide a free, half-day in-person SAT Prep course to 11th grade students (pre-registration required) at NTHS with a professional test prep company. English and math classes at NTHS all support SAT/ACT prep through practice writes and working on problems from released exams. Suggested Testing PlanI do suggest almost every student take tests multiple times. Their first sitting is generally not their best. I also suggest students try both tests and take the test their score better on or feel most comfortable with. Scores are typically available about a month following the exam. Take the PSAT/NMSQT in the fall at school. Receive scores in Dec/Jan. Review scores and work over the summer after 10th grade on test prep. Continue test prep efforts through early fall. Take PSAT/NMSQT in the fall at school. Receive scores in Dec/Jan. Review scores and register for at least one more (ACT or SAT) before summer. More if desired. Final administrations are highly recommended. 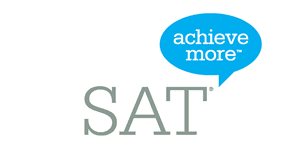 Register for one to two fall SAT or ACT exams if desired or to improve score. Most colleges will limit the final accepted test date to November or December for either test. Check school requirements for exact info (especially for ED/EA applications). This plan is strictly an example based on typical best practices. It may not fit your needs. Compare Your Options Please review the following information and comparison between the SAT and ACT. Links to register for both tests are also available below.